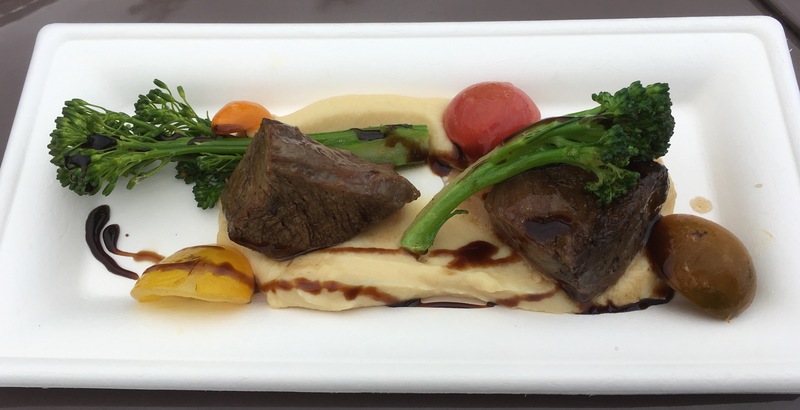 “Food & Art” Flash Report: Braised Short Rib – Cuisine Classique | It's "All in WDW"
As food booths go, Cuisine Classique turned out to be an enigma. On Opening Day, I sauntered up to try their wares about two hours after the Food & Art festival kicked off service. Did I get food? Uh, no. They weren’t quite ready, they said. Huh? The party started two hours ago! Suffice it to say, I had to stop back one day later. I can’t tell you how good of a decision that was! Folks, their Braised Short Rib was ‘fork tender’ and fantastic! The parsnip purée was delicious and silky smooth. My friends, this dish is a ‘work of art’ and an absolute ‘Must Do’! Add it to your menu! ← It’s “Prime Time” for Table Services, Folks!